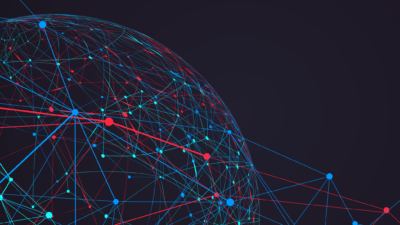 On April 9 and 10, 2019 the CMSA will be hosting two lectures by Mina Aganagic (UC Berkeley). This will be the second annual Math Science Lecture Series held in honor of Raoul Bott. The lectures will take place from 4:00-5:00pm in Science Center, Hall C.
Abstract: The quantum Knizhnik-Zamolodchikov (qKZ) equation is a difference generalization of the famous Knizhnik-Zamolodchikov (KZ) equation. 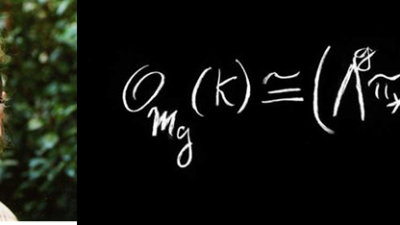 The problem to explicitly capture the monodromy of the qKZ equation has been open for over 25 years. I will describe the solution to this problem, discovered jointly with Andrei Okounkov. The solution comes from the geometry of Nakajima quiver varieties and has a string theory origin. Part of the interest in the qKZ monodromy problem is that its solution leads to integrable lattice models, in parallel to how monodromy matrices of the KZ equation lead to knot invariants. Thus, our solution of the problem leads to a new, geometric approach, to integrable lattice models. There are two other approaches to integrable lattice models, due to Nekrasov and Shatashvili and to Costello, Witten and Yamazaki. 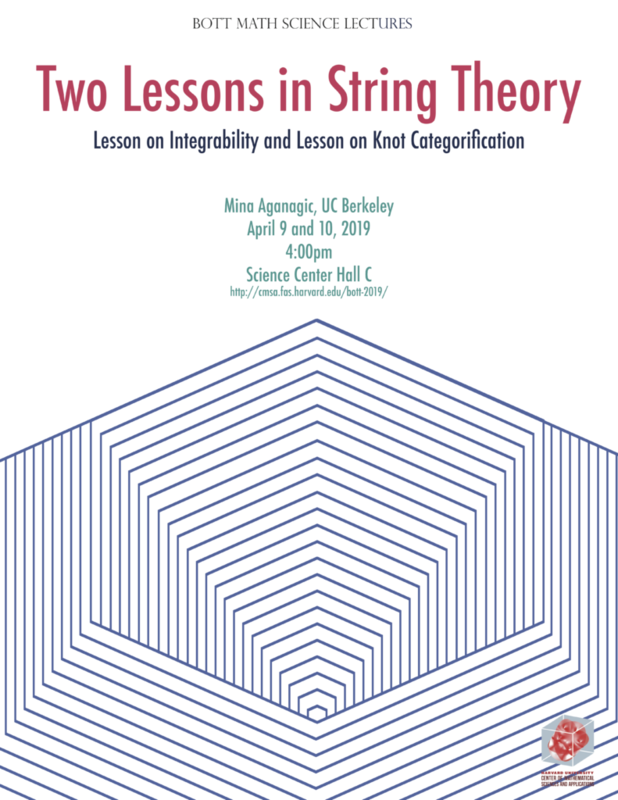 I’ll describe joint work with Nikita Nekrasov which explains how string theory unifies the three approaches to integrable lattice models. Abstract: An old problem is to find a unified approach to the knot categorification problem. The new string theory perspective on the qKZ equation I described in the first talk can be used to derive two geometric approaches to the problem. The first approach is based on a category of B-type branes on resolutions of slices in affine Grassmannians. The second is based on a category of A-branes in a Landau-Ginzburg theory. The relation between them is two dimensional (equivariant) mirror symmetry. String theory also predicts that a third approach to categorification, based on counting solutions to five dimensional Haydys-Witten equations, is equivalent to the first two. This talk is mostly based on joint work with Andrei Okounkov. Information about last year’s Math Science Bott lecture can be found here.